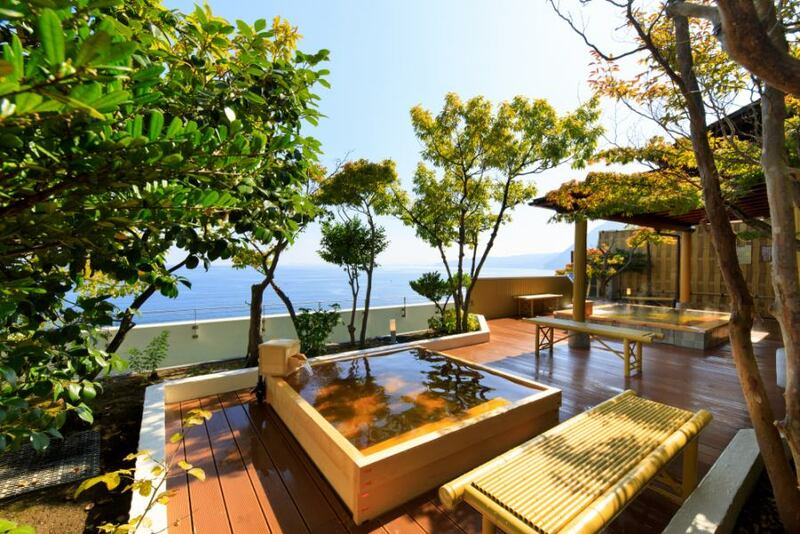 Seaside Hotel Mimatsu Ooetei open-air bath and large bath, you can overlook the large sea of Beppu Bay in front of the eye. 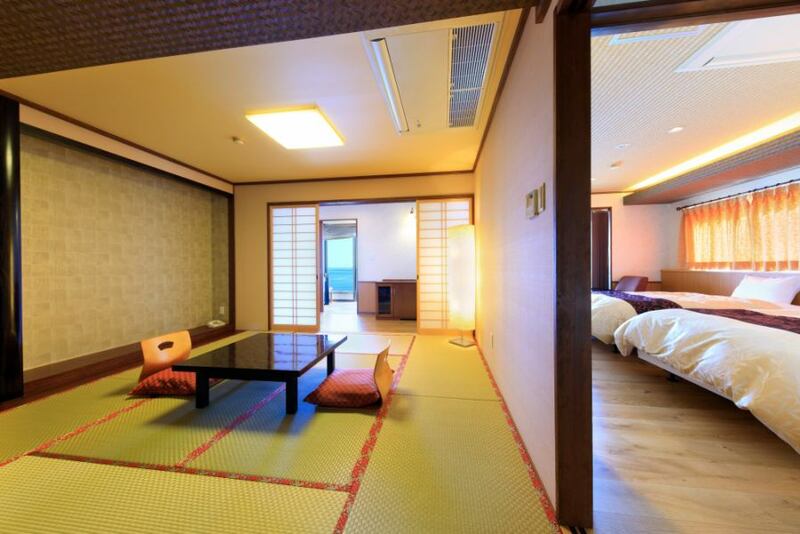 It is a healing accommodation where you can fully enjoy source sprinkling sinking hot springs. 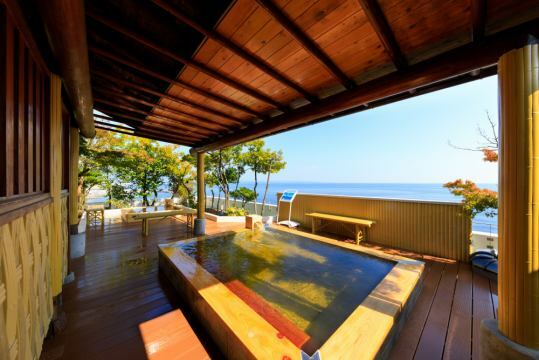 It is an open-air bath that you can enjoy the sunrise in the morning and the full mood at the full moon at night in the evening. "Bathing hours are from 3 pm to 12 am, morning from 4 am to 9 am"
It is an open-air bath that you can relax and enjoy relaxing hot springs while feeling the changing nature of ever-changing. 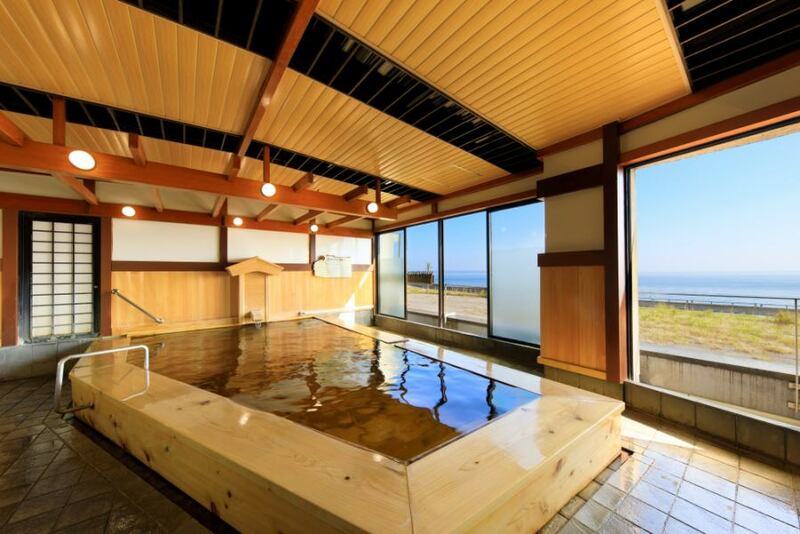 It is a large public bath by gender.It is a large bathtub where the beauty of hinoki was made use of. 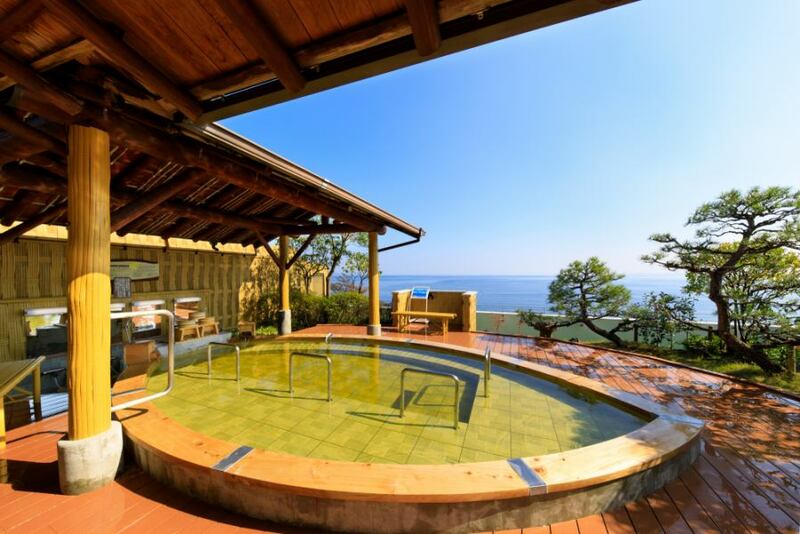 It is a large public bath where you can relax and enjoy a hot spring while watching the beautiful view of Beppu Bay which spreads outside the window. "You can take a bath all night. (Until 9 in the morning) "
●There is no bath towel / face towel installation.Please bring it from your room. ●Rooftop open-air baths may not be available on windy days or cold days. ●There is no private bath so please understand. Muscle pain · neuralgia · coldness etc. Outdoor bath is available from 0 am until midnight and early in the morning from 4 o'clock. The outdoor public bath can be used 24 hours.